Excuse him, he gets excited sometimes. Welcome back to The Scoop! The realest Yu-Gi-Oh! News Report that you'll find, and of course it's right here on ARG! In the aftermath of one of the most insane World Championship Qualifiers we've had in YEARS, I'm here with one of the fan favorites, Jarel "Pro" Winston! He piloted Ritual Beasts to the top 8, narrowly missing out on a return to the World Championships. It would have been his second trip to Worlds as a player, and they would have both been in Japan. Of course Jarel agreed to sit down with non other than myself and do an interview about his performance and deck choices in the tournament. Anything for the readers! Without further ado, let's hop right into it Jarel! I hope you're doing well this evening and congratulations on your performance. I know it was a bit short of what you worked for but I think I speak for everyone when I say we're definitely proud of you and what you accomplished with a deck that was definitely the underdog! So first off, there are a LOT of decks that were "viable" for this event, and I quote that because in most people's opinion there was a clear cut best deck. And for this event, only, I think that is incorrect. Anywho, what made you choose Ritual Beasts over all others? "The reason why I decided to play Ritual Beasts was really simple actually: It was the only deck in the format that I felt comfortable with. It had to be the only deck that wasn't expected in high numbers and it had minimal opposition in the side decks of most of my opponents." Excellent reasoning on that and obviously it paid off for you! So I know you're a player that never really conforms to what everyone else is saying or doing, and you always find a way to step outside those metagame norms. You took an underdog deck and stepped outside the conformity of the most commonly played cards. 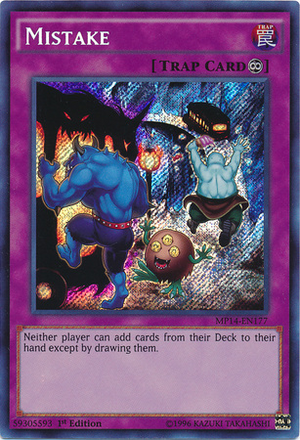 What made your deck different from other Ritual Beast decks? "The build that I decided to pilot this past weekend was uncommon because I didn't play a SINGLE copy of Emergency Teleport, which is typical for those depending on a combo piece such as Elder or any Tamer. I also decided to main deck 3 copies of Mistake, a Thunder King Rai-Oh, and a copy of Trap Stun." Great choices, and they performed very well. It didn't seem like you missed Emergency Teleport too often so those were good choices. But just for curiosity sake... Why did you choose not to play the Teleports? 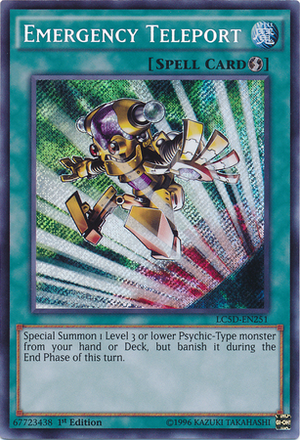 "While I was testing with Ritual Beasts on the way to figuring out what deck to play, I noticed that I was always drawing Teleport when I didn't have a Beast to match up with the Tamer or either I would open with it which does nothing for my combos because the monsters can only be special summoned once per turn, and Teleport uses up that summon. The combo is set back an entire turn at that point and having Teleport outside of trying to combo does nothing against the other decks of the format. So I did some research and I found something interesting. In regards to the games greats such as Adam Corn, the Bellido Brothers, Jae Kim, Emon Ghaneian, Paul Levitin, Shane Scurry, Jeff Jones, Billy Brake, and Patrick Hoban, a common trait in their performances was mounting a sizable board and flipping a card that makes that board nearly untouchable in the form of a flood gate. 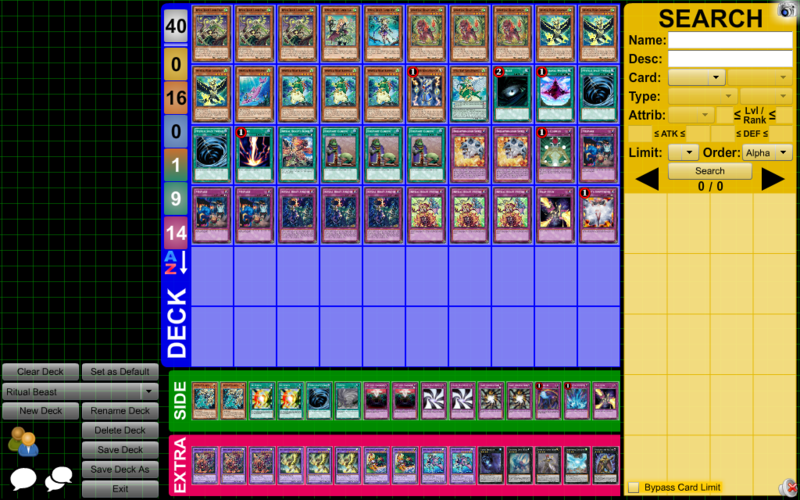 I know a lot of players are newer and didn't play at the time a lot of those players were in the game so a more recent example would be in Dragon Ruler format where Patrick piloted Vanity's Emptiness and stop his opponent from gaining advantage over his board. Logically, playing Emergency Teleport did not contribute to providing anything that stopped the other players combo and didn't being down the ceiling of the other decks of the format like Mistake did." Wow! You thought about this rather heavily. It would seem like Teleport is an auto-play because half the deck's monsters is summonable through it, but once you mention the fact that in order to combo well, you need to normal summon and THEN special summon your monsters, it makes much more sense. Speaking of Mistake, a lot of people are up in arms about you playing it. Did it hinder your game at all? "I wouldn't say that playing Mistakes hindered my game, I would have to say that it allowed me to play different. It allowed me to slow the other decks to my speed and that's an advantage for me because Ritual Beast isn't as quick as the rest of the meta. IT allowed me to take the matchees back when it was a one for one beatdown format. Being able to special summon Ilti Appelio and attack just to defuse and defend with Ulti-Pettlephin was amazing. It took more skill playing with a Mistake face up on the field." Thanks for clearing that up! Now you've spoke of combo's a few times. So lets get into what some of the unique things your deck can do. Tell me about those! "The deck can apply more than 9000 damage to my opponents by turn two through a lot of opposition if I open up Elder and Cannahawk or Elder and Rampengu which I didn't do almost all of day 1! But the deck has similarities to Gladiator Beasts in the way that abuse contact fusion. In that regard, being able to set monsters and contact fuse, bypassing some of the destruction traps, was very important. Bringing out Ulti-Pettlephin was much more easy and secure because of that." 9000 damage is insane in today's game where players are so indecisive about what to do with their life points in terms of conserving them and playing Valkyrus. But this deck gets around Valkyrus pretty easily anyways. Moving forward, what was the most insane play you did all weekend? "I summoned Spiritual Beast Apelio and attacked over David Keener's Giant Hand and pumped up to 2300 in damage step so he couldn't negate it!" Speaking of Apelio, in your decklist you played 3 copies. 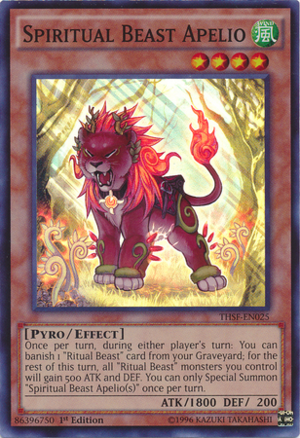 This is rather uncommon for Ritual Beasts because they play more of the other cards and much less Apelio. What brought about the decision to play 3? "The reason I played 3 was because my deck was made for the longer game and I needed plays against El Shaddoll Winda, Denko Sekka, and Nekroz of Unicore. It made things much easier and I could keep my graveyard out of the equation and get my correct cards from the Graveyard into the Banished Zone. It made that much easier for me, and I'm glad I played 3 Apelio and I definitely wouldn't have changed." Well if you COULD, retrospectively, change anything about your deck, what would it be? "I would take out Diamond Dire Wolf in my Extra Deck for another Lightning Chidori. That's it." Wow! You were very happy with your list then, and I do see why. Now in regards to the match that would have sent you to Worlds... Everyone has something to say about it. Could you have won that match? "Yes, I do believe I could have. But what's done can't be undone so with that I say good luck to Team USA!!! Bring it home!" Good sport! Anything you'd like to say to those reading? "I would like to take the time to thank everyone that supported me while I was in the event. All the people that took the time out to say hello or check how I was doing, thank you! It was because of you all that I kept on going. I may not be the best player to every one else but I can say for sure that that no one has the passion I have for the game and for the trophy! When I play I give it my heart and soul and I will continue to do that. I'll also continue to play what I want to play, and not what people swear by or what they tell me to play. I deemed my self as a good player as motivation to be the best; and in order for me to do that, I have to play within my comfort zone and perform well consistently. I can never promise you a miracle, but I can definitely promise you a movement! The movement is here, the movement is now!" Guys it's been absolutely fantastic sitting down with Jarel Winston and he's excited as the rest of us about the upcoming Forbidden and Limited list! He's hopeful that he can continue to do well and be the self-proclaimed pro that he is! If you guys have any questions for him, send them through me via the comments section and I'll do my best to get them answered for you guys! IF IT AIN'T PRO IT GOT'S TO GO!! DEUCESSSSS!